Space is a premium in New York City and that holds true for other metropolis as well, such as London, Tokyo and Hong Kong. For most of us, settling in the NYC (and especially in Manhattan) means succumbing to the micro-sized living quarters - fortunately, we have some tips to help you live large, stylish and comfortable. To maximize your apartment no matter how narrow or awkward it is - some out-of-the-box thinking and innovative furnishings is all you need to get the job done. The first thing you’ll want to do is map out exactly how much space is livable in your current or soon-to-be dwelling. 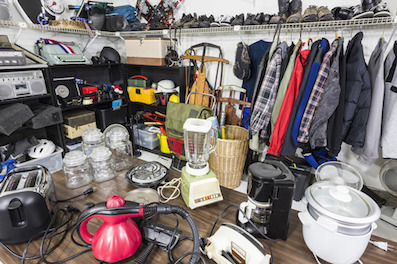 Try to avoid clutter, so don't hoard. Whatever you don't use or need, sell it ( Ebay or give away, donate them for tax deductible credits. To start with, consolidate and decrease the volume of your possessions and consider the bare minimum you need to live comfortably. A good rule of thumb is if there are cloths that have not been worn for at least 2 years, then it is time to get rid of them. It’s best to underestimate your space and adjust accordingly. Factor in areas taken up by immovable objects like counters and sinks, while others reserved for larger furnitures like a bed, sofa, dining/ breakfast table… depending on you budget, you can furnish the apartment with space saving features in mind. Finally if there are items you must keep for whatever reasons consider renting one of the self storage units in NYC. There are plenty of options when it comes NYC storage units so it's easy to find the best one suitable depending on your preferred location, budget or perks. Sorting through all your belongings takes time, not to mention the possibility of delaying your move. Maybe you considered getting a bigger space to store all your seasonal and sentimental effects but the efforts in` searching, organizing that extra room just for storage costs you money. Renting a self storage unit is most likely cheaper than higher rent on a home with more space than you have to. Additionally you gain the time to make careful decisions on what to keep and what to kiss goodbye. Average cost for a 25 square foot storage space in New York is $62.90, with the lowest price found at $21.75. Storage facilities are abundant in Manhattan from companies like Manhattan Mini-Storage or CubeSmart and come in different sizes depending on your needs. Manhattan Mini Storage offers so call storage taxi to its' members, which will drive you and your stuff to the unit for free. If you are looking for a more organized space to keep your seasonal gears, accessories and etc. - check out the walk-in closets with drawers, shelves, and hanging rods. A ladies's closet dream come true? Depending on your budget, the most affordable unit is a room of 36 cu-ft costing $35 /month for less than four months, or $28 /mo for longer contract period, for $82 /mo, you can get an 80 cu-ft unit with temperature control at 60 to 80 degrees and 24-hour access. 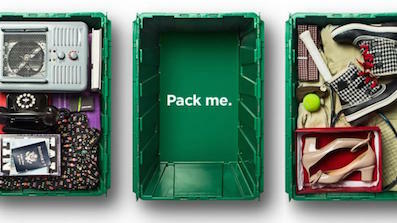 CubeSmart offers storage all over New York City, with one month free service. With plenty of facilities in the Bronx, Brooklyn and Queens area. You can get monthly storage starting from $25 to $453, depending on size. American Self Storage is another company offering twelve locations in total between the 5 boroughs starting at $36 per month for the smallest unit with rooms between 25 and 100 square foot. A special feature includes accepting deliveries for members of the units. All of the above facilities offer free move-in service for new tenants often times offer special deals and promotions through out the year. Make sure you check out the available deals and perks before signing up. Full-service "Pack & Store" such as Box Butler which delivers the storage boxes to your place, you packed them up and they came back and picked them up. MakeSpace offers a similar service. On their website, you can schedule containers and have them picked up and brought to a storage facility. Whenever you want, you can log on to the website and see images of your items as they are in storage. One downside is that you don’t have constant physical access to your boxes. They available in almost every state and with particularly successful in New York City. There are certainly no shortage of storage facilities in New York City and aside from the ones mentioned here, a quick search will land you heaps of options to choose depending on your preference of location, budget, condition and capacity. Don't be pressured or intimidated to rent if you are not fully comfortable, it's certainly a buyer's market when it comes to self storage units in NYC. You can make whatever space you have visually bigger with brighter colors. It’s no secret; dark colors make rooms look closed-in, while bright or light colors enlarge them an is more welcoming. Drawing attention to the ceiling also gives an impression of a larger room. Vertical stripes on wall will elongate a room (you can also do the same with striped rug or carpet). This will have the biggest impact if you do not have large windows and all it takes is a simple DIY paint job or wall paper to do the trick plus extremely affordable. Another trick you probably heard of is using mirrors to visually enlarge the space. But make sure you don’t place the mirrors where they can draw attention to distracting areas of your living space such as in front of your bathroom or in front of the couch. Putting a large mirror opposite a window will fill the room with more light, giving the impression of spaciousness. 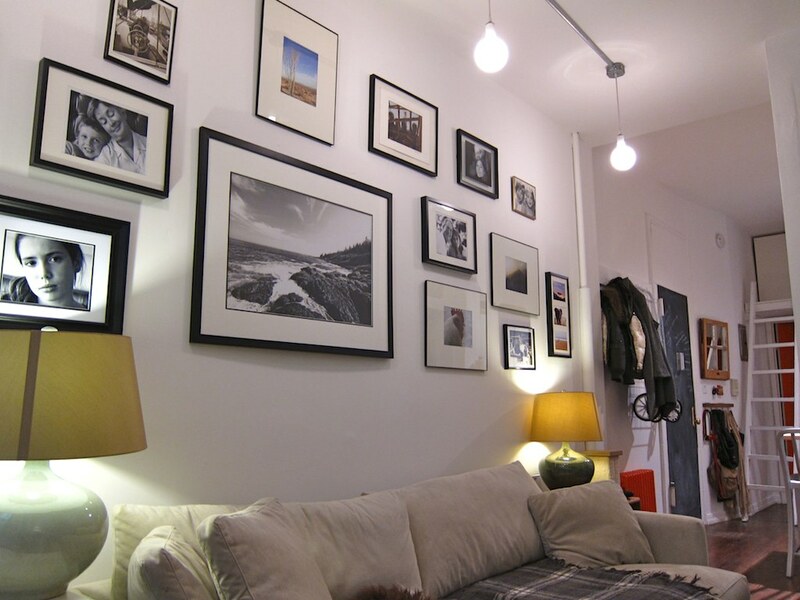 When using several frames of small wall arts or pieces of arts scattered around the home, it breaks up the space in small areas. Fix that problem with one large canvas art, preferably something colorful, rich and sassy - or group several small and medium size ones together, this will provide a strong focal point for the room and steer clear of that disconnected feel to the room. Finally don’t forget all of the vertical space you have available to you. Hang a few functional and stylish wall shelves to free up floor space. It is not appealing to have items stacked along the floor and still have bare walls - plus opening up the floor space will make the room feel larger and more comfortable. You can get creative here, such as hanging the flat-screen TV on the wall. Shoes can go on the bottom two shelves of a tall bookcase if you have one or use an over-door or hanging shoe storage to keep shoes off the floor. Eventually you might have to bite the bullet and acquire a space saver furniture to truly make a difference, by which it means that that the furniture is multi-functional and/ or in (or transformable into) a nice small form factor. Space saving bed that double as a nice size sofa is probably going to be the focal point of a room. If you want a queen bed, you’d better be combining it with something, and luckily fold-out beds are widely available in all shapes and sizes. And if you think a space saver sofa bed will cramp your style, think again, just check out this Italian multifunctional furniture design. 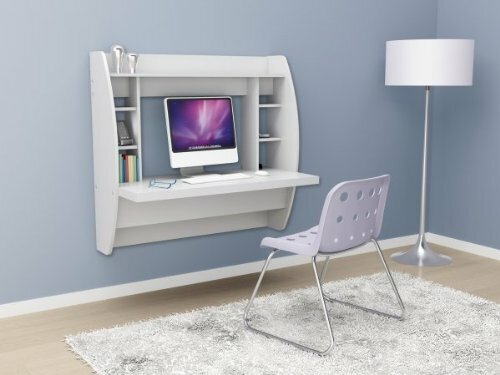 Space saving desk, a fold-out convertible tables that folds neatly and compactly flush against the wall when not in use. 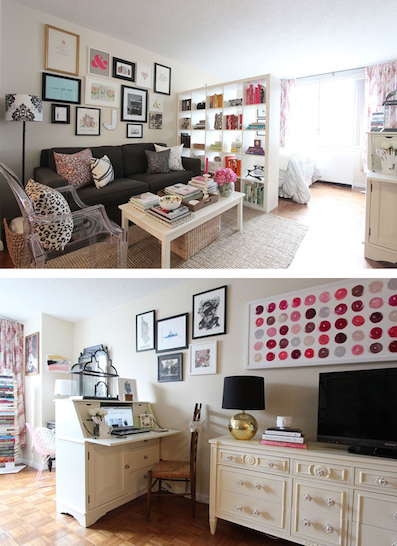 Folding down reveal a handy storage area, organizers and of-course a good size home-office desk. An ironing matcan be easily folded and tucked away. And if you must have that pool table for your bachelor pad – check out this sleek billiard-dining table fusion. IKEA is great for slim, unobtrusive furniture. The DIY factor means it's hardly going to break the bank either, such as the table lamps going for $5. The three-seater sofa beds (KARLABY/KARLSKOGA) work perfectly for the fold-out beds mentioned above and IKEA also carries many compact and colorful tables and chairs to inject life into your room without taking up too much space. There are also has furniture that doubles as a dining table and a desk, the perfect space savers. If you like to entertain friends or guests, stackable and foldable chairs of different colors are available and extendable dining tables will come in handy when you are hosting a dinner party. Living in an oddly-shaped space with a lot of corners? You can make use of all the space efficiently by filling it with your belongings in suitably-shaped containers, shelves or furnitures so that there are no wasteful gaps. Containers of all sizes and angles are also widely available at the container store. Like this slim one ( only 6 3/4" wide ). Finally furnitures with wheels are handy. Such as shoe racks with wheels that can be moved whenever extra floor space is needed, other examples include wheeled racks, tables, desks and even drawers and shelves. Remember: in a highly populated city like this one, you’re not alone and what lacks in living storage space, it more than makes up for with vibrant lifestyle. New York possesses with pulsing life, such as instant access to diverse cultures, ethnicity, dining, shopping, social events, night life. There is always something to do and see in the city. Getting by on limited space in New York City can be frustrating if you are use to single-level living with large open spaces in the suburbia or country-side, but certainly not impossible. To get comfortable in urban living, you will have to be creative to maximize your home using these tips to make your square footage stretch to feel like a luxurious palace.